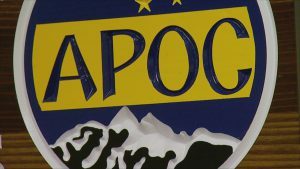 The deadline for candidates and groups to file what are called seven-day reports with the Alaska Public Offices Commission (APOC), showing all income and expenditures between July 16 (30-day report) and August 6 (10 days out from election). That is a period that covers right at three weeks. The reports are due seven days before the election, which is midnight tonight. From the reports submitted so far, we have compiled some interesting tidbits of what they tell us about candidates, campaigns, and groups influencing the election. Once all the reports are in we’ll do another post with those insights as well. Alaska’s Future — It sure seems like Alaska’s Future is getting the band back together for election season. The group was formed before the legislative session to push lawmakers for major state budget reforms including use of Permanent Fund revenues. Founding members of Alaska’s Future were GCI President Ron Duncan, AFL-CIO President Vince Beltrami, Native groups, and former lawmakers from both major parties. Now a group called Together for Alaska is raising big money from many of these same players. So far this year the group has raised $91K, $86K of that In just the last three weeks. Major donors include GCI President Ron Duncan ($5K), GCI COO Greg Chapados ($5K), various labor PACs ($46K), and prominent lawyer Robin Brena ($35K). By the way, for full disclosure The Midnight Sun publisher Jim Lottsfeldt put $250 into the group. The list of candidates they are helping includes Vince Beltrami, Luke Hopkins, Jason Grenn, Harry Crawford, Bob Lynn, Zach Fansler, and Dean Westlake. So far the group has only spent about $20K, mostly on polling and media buys. That leaves them with almost $70K still to deploy, it’s sure to be active throughout the next few months. Candidates Showing Little Or No Fundraising — Bill Goodell, Tim Huit, John Zebutis, Brandon Montano, Don Hadley, Dustin Darden, Kelly Wolf, Brent Watkins, Truno Holdaway, William Weatherby, Ken Shaw, Jason Land, Pam Goode, Mike Alexander, Karen Perry. Chances are you haven’t heard of many of the folks on the list. Their fundraising gives you a pretty good indication of why and what most of their chances are in the election. Mary Wythe — The Homer Mayor received a $1K contribution from ConocoPhillips PAC for her state house primary challenge to Rep. Paul Seaton. After receiving a total of $2,447 in donations this period, Wythe’s campaign is now $1,700 in debt. Almost all of her money has gone to signs and door hangers. She has no radio or tv ad buys reported and only less than $200 in Facebook ads. That isn’t necessarily a bad sign for Wythe. She almost certainly knows the largely Republican Party funded Accountability Project, which itself created a group called Wythe is Right! Seaton Must be Beaten! is spending money in the race to knock off her opponent Rep. Paul Seaton. Coincidentally enough, that spending, about $42K worth, is going almost exclusively on ad buys. Seaton still had $21K cash on hand at the end of his 30-day report. A lot of that will likely go on the airwaves and will be supplemented by substantial buys by labor groups. Jeff Landfield — He raised $4,600 in the last three weeks, but the real story here is who he got the money from. $2K was from union PACs, while $750 came from GCI-ers Megan Baldino and Ron Duncan, and another $1K came from B.J. and Rachel Gottstein. Those are significant names who it would seem think there is a real chance we could be looking at Sen. Jeff Landfield in January. Gary Knopp — The Kenai area house candidate posted a very healthy $15K raised in the reporting period. Most interesting was the $500 donation from Rep. Gabrielle LeDoux and another $1K from her PAC (Gabby’s Tuesday PAC). It looks like we know who’s lead he will follow in the next legislative organization process. Cathy Giessel — Continues to rake in the cash and not spend it. For this reporting period she brought in $12,799 and only spent $1,361, mostly related to fundraising. That leaves Giessel with a war chest of $140,991 cash-on-hand. She will be very well funded for her general election battle with AFL-CIO honcho Vince Beltrami. George Rauscher —- The challenger to Rep. Jim Colver brought in a healthy $5,674, including $1K donations from ConocoPhillips PAC and Alaska Republican Party. He bought $2,700 in radio ads and still has over $4K cash-on-hand for last minute spending. IBEW PAC — The union PAC bought $15K in polling and gave Rep. Bob Herron’s primary challenger Zach Fansler $1K. So if you want to know what’s going on, ask the IBEW, they have the numbers. ConocoPhillips Alaska Employee PAC — This is the oil company’s employee PAC. The group sent out checks for $1,000 to Sen. John Coghill, Rep. Craig Johnson, Mike Gordon, Kevin Kastner, Rep. Lance Pruitt, George Rauscher, Rep. Ben Nageak, Rep. Dave Talerico, and Mary Wythe and $500 to Rep, Dan Saddler, and Jennifer Johnston. House Democratic Campaign Committee (HDCC) — The Alaska Democratic Party committee sent $5K apiece to Rep. Adam Wool and Rep. Harriet Drummond. 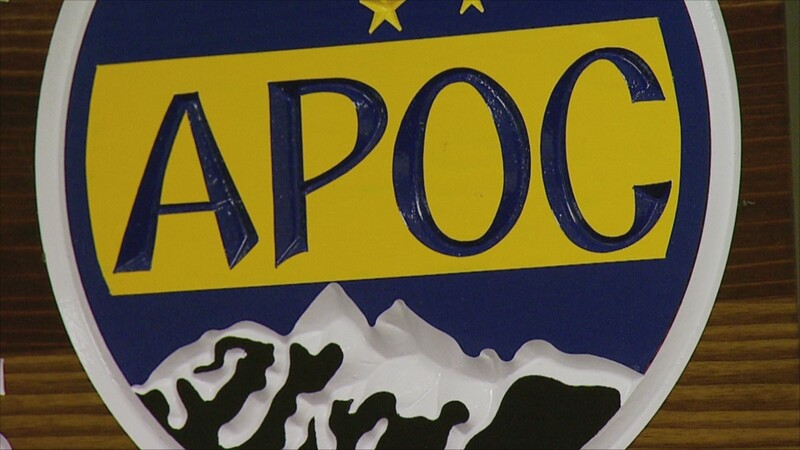 Alaska Republican Assembly (AKRA) — The uber-conservative group doled out $1K to candidates. Not a $1K each to various candidates, $1,000 total, $300 to Mat-Su Borough Assembly candidate Brian Endle and George Rauscher and $200 to Paler state house candidate Richard Best and Rep. Lora Reinbold. For a group that is as engaged and active as the AKRA is, they sure don’t have much money to throw around. International Association of Fire Fighters (IAFF) Local 1264 PAC — The firefighters’ labor group gave $1,000 contributions to Rep. Jim Colver, Rep. Bob Lynn, Rep. Dan Ortiz, Jeff Landfield, Sen. Bill Wielechowski, Rep. Harriet Drummond, Zach Fansler, and Dean Westlake. They gave $500 contributions to Rep. Ivy Spohnholz, Rep. Chris Tuck, and Rep. Les Gara. Working Families For Alaska — They raised all $20K of their income from Alaska Laborers Local 341 and spent $10K on radio ads to support Rep. Jim Colver ($6,500) and Rep. Ben Nageak challenger Dean Westlake ($3,500). Be the first to comment on "Tales From APOC Seven Day Reports"